Today was Jen's first day back at work. So begun my first of a three-day Mr. Mom experience. It was pretty much exactly like the movie except with less Van Camp's Chili product placement and no foxy divorcees flirting with me. At least that's the story I'm going with. Unfortunately it rained all day so the Wombats didn't get to enjoy a walk. Instead I spent much of the afternoon educating them on the music of Deep Purple. We started off with a documentary on Machine Head, rounded out the morning with Concerto for Group and Orchestra, then spent the later afternoon listening to The Butterfly Ball, The Wizard's Convention, and watching The California Jam. Unfortunately Jen had to walk home from the train in the rain but luckily she was so elated to see the boys after a long day at work that it didn't seem to really bother her that she was completely soaked. 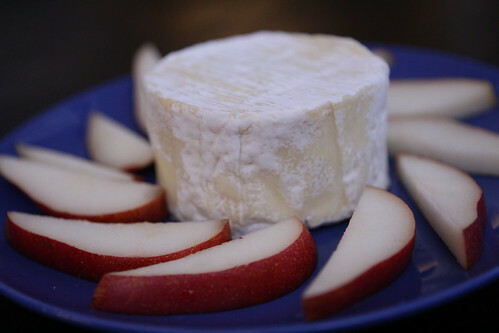 After drying off I put out this St. Nuage cheese from Herve Mons with some sliced pears from the farm. I focused on easy things to make tonight in case I needed to run back to tend to screaming Wombats. Luckily, for me, that didn't really happen. 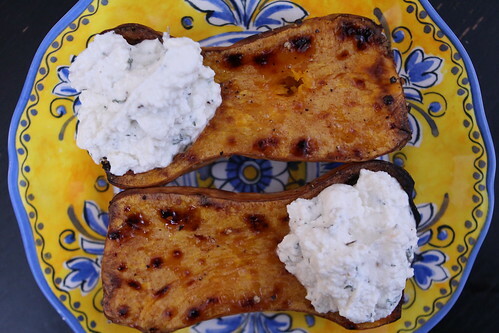 I just halved the butternut squash from the farm, seasoned it with salt, pepper, and olive oil, and roasted it. When it came out of the oven I filled it with a mixture of ricotta cheese, olive oil, honey, lemon, salt, pepper, and fresh thyme from the farm. 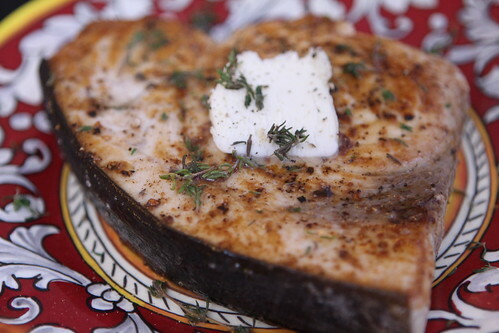 I also pan roasted a swordfish steak and served it with butter and fresh thyme. To celebrate the season of pumpkin beers we had one of approximately four thousand gimmicky pumpkin beers that were released this season starting in mid July. 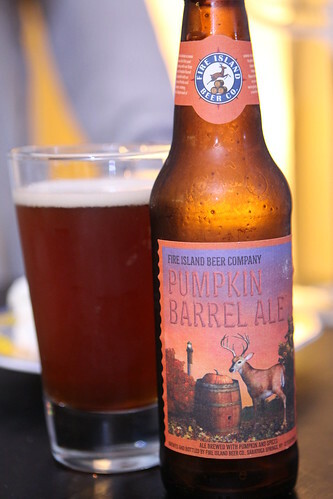 This was the Pumpkin Barrel Ale from Fire Island Beer Company. I haven't had anything from this brewery before so it would not be fair to judge them based solely on their pumpkin offering. That being said this was not my favorite pumpkin beer. This was the most cinnamony beer I've ever had and it made almost a burning feeling like cayenne in the back of the throat. It also reminded me of those fireball candies that you have when you are a child then disappear from your life never to be seen again. I've had more enjoyable beers but I look forward to trying one of their non-pumpkin offerings in the future. 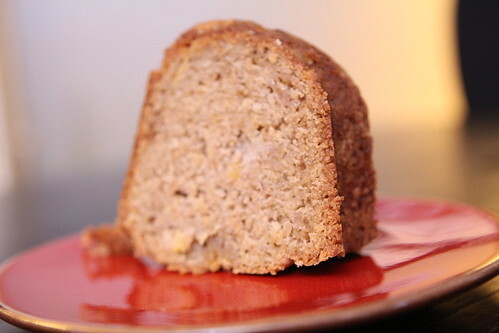 Jen baked an apple cake with a tiny percentage of the apples we have from our extremely expensive apple adventure. This was dense and delicious and went great with a screening of Mr. Mom. Yes, that's right: a screening! If that weren't enough we then rolled right into Gung Ho. What's better than one movie about struggling American auto workers in the early 80s? Two movies about struggling American auto workers in the early 80s. Labels: Baking, beer, Dessert, Film and TV, How'd we use it?